Look again at the Navigate Tool. 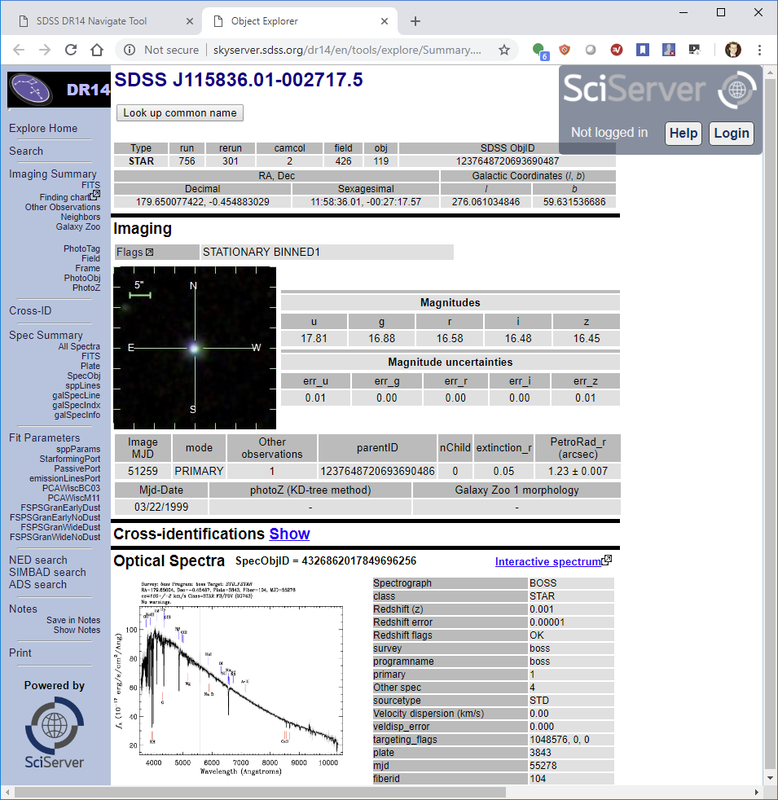 Navigate is designed to give you a quick look at objects as seen by the SDSS. To examine spectra, you need to use another tool called the Explore Tool. But first, how do you know which objects have spectra measured? Scroll down to the Optical spectra section at the bottom of the page. The spectrum is the graph at the lower left. Next to the graph, look at the piece of data labeled class. Class indicates what type of object this is. The example in the screenshot above says GALAXY under class, so the object is a galaxy. Click Next to learn about the types of objects you will see.